Look inside: Visualization has played such a relevant and crucial role in developing my prayer life. I share my own visualization technique and ways to develop your own. I grew up in a home where we always prayed. We did family rosaries every night in the months of May and October to honor our Blessed Mother Mary. When difficulties arose or anything challenging, we would come together in prayer. Honestly, I recited these prayers mostly as a way to calm my mind after a long day of playing or as I got older, of studying, but they were mostly just words. 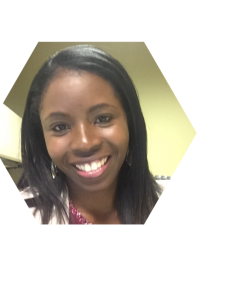 As I grew up and developed my own relationship with Jesus, my prayer routine ebbed and flowed. 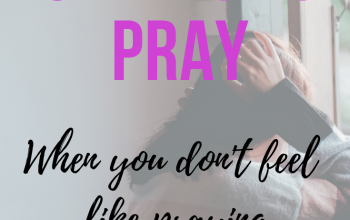 I went through times when I didn’t pray at all and was grateful that I had a mommy who was praying for me instead. There have been times, in my life, when my prayer returned to the way it was when I was younger, just recited words, said more for the benefit of my conscience than for my soul. About a year ago though, I tried a ‘new’ way of praying which utilizes the power of visualization. Visualization is using the power of your subconscious mind to create a picture of something you desire. Scientist have suggested that the subconscious is so powerful that when you visualize something fully, your mind has the same sensation as if you are actually engaging in the thing you are visualizing. For example, if you picture yourself standing on a beach, looking out into the calm, crystal-clear waters of an ocean, your mind begin to calm, your pulse will slow down and you will feel relaxed. The Saints are said to have practiced visualization frequently. 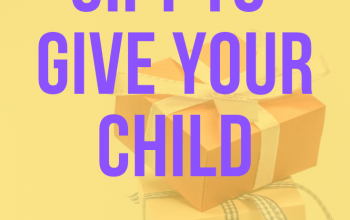 St. Ignatuis Loyola, the famous Jesuit Saint developed the Ignatian Spirituality and a part involves spending time examining yourself, your life and your time with God. Check out the site below for more info on how St. Ignatius teaches us to pray. 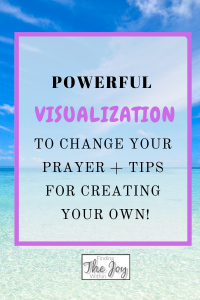 For me visualization has been such a game-changer for my prayer life. Instead of just reciting my favorite prayers, I actually picture myself in them; I see them. When I sit quietly in prayer, I visualize that Jesus is there in my midst, and that the Holy Spirit is listening as well. I have had many powerful experiences since I started praying this way. I have felt a sense of renewed excitement every time I pray and I look forward to my time with Jesus. It is important that you create your own visual story so that it comes to you easily and naturally but I wanted to share with you the one that I use. I love it so much and I hope it will help you in crafting your own. 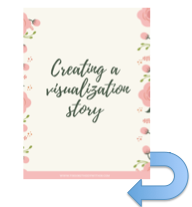 You can download my own personal visualization story below as well as a checklist to create your own. You can print this and use it again and again. If you would like to try this way of praying, here are some tips to creating your own visual story to get closer to God. Download the sheet above which breaks down the process even more. 1. Pick a scene: Use a scene of a place that you love. I really love being near the ocean so sometimes, I picture myself on a beach, with 2 comfy beach chairs on the shore, one for me and one for Jesus. I hear the lapping of the waves on the shore and see the horizon, the bottom of the ocean, the birds. If you’re afraid of the ocean, use a different scene. Try to find a scene you are familiar with so that you don’t spend a lot of time trying to think of what you should see but rather spend time being in your picture. For example, if you are never been to Hawaii, I would suggest that you don’t picture yourself there; it would just be too much work trying to decide what you should be seeing. 2. Use all your senses in your visualization picture. See, smell, hear, and feel the sensations around you. How is the weather, is it cold, hot, sunny, windy? Picture it in vivid details like you’re explaining it to someone who cannot see. 3. Practice: If this does not come naturally to you, just be patient with yourself and practice as much as you can. If you need help with visualization, check out the Honest Guys on YouTube. I have enjoyed a couple of their meditation, though I much prefer my own now even more. 4. Give glory to God: As children of God, our job is to praise, and glorify our Father. Live your life in a way that is pleasing to God. Do your best to make yourself worthy of being in His presence. If there is anyone you need to forgive, offer forgiveness. If you have hurt someone, make amends. I really hope this inspires you to create your own story with Jesus. Keep praying, keep reading your Bible and keep finding ways to be the best version of yourself. 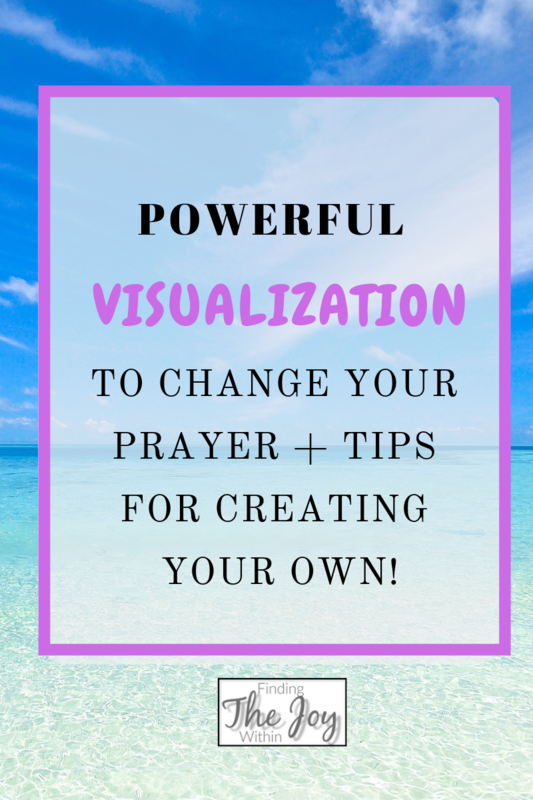 Do you have a visualization prayer? Please comment below. If you try this and enjoy it, we’d love to hear from you.